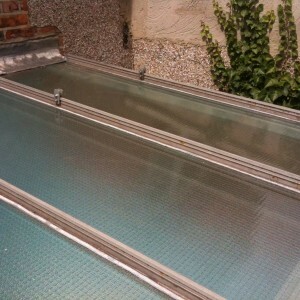 6mm Georgian Wired Polished Plate Glass. 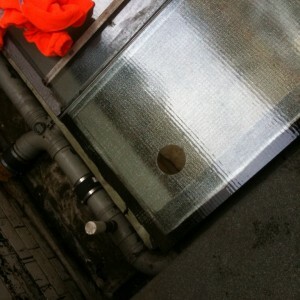 Hole cut in new 7mm Georgian Wired glass pane. 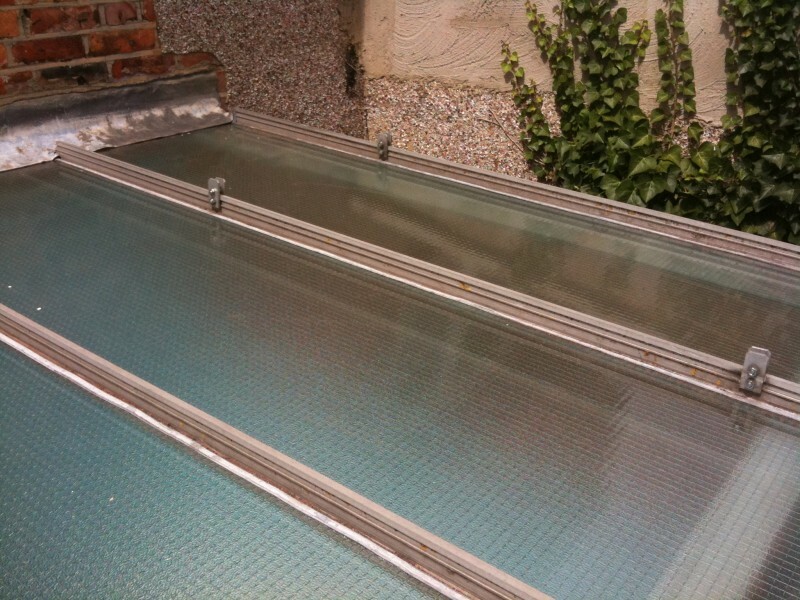 7mm Georgian Wired Cast Glass used in conservatory roof. 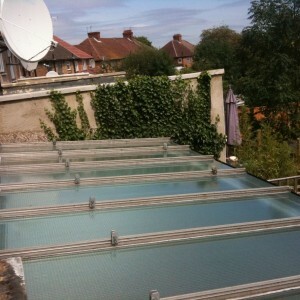 The complete roof was fitted with 7mm Georgian Wired Cast Glass. 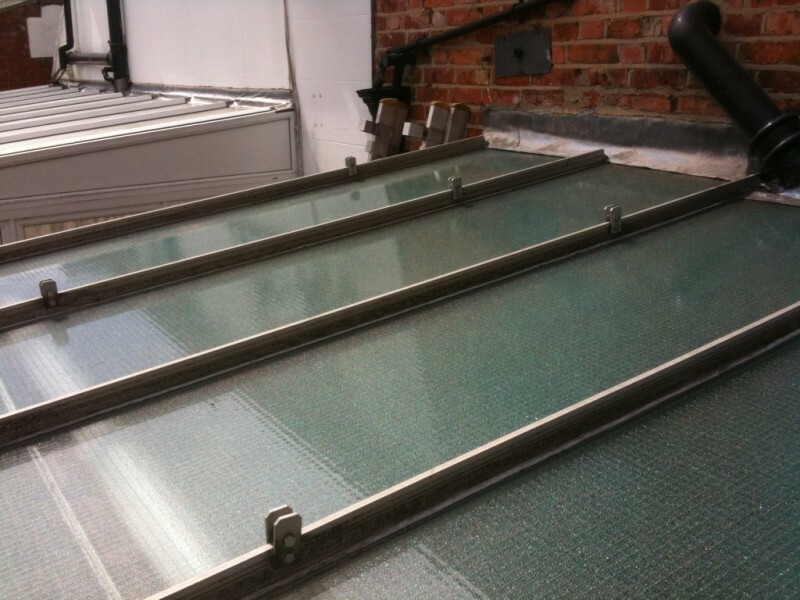 The pictures above show the two most common types of wired glass that 1st Call Glazing stock. 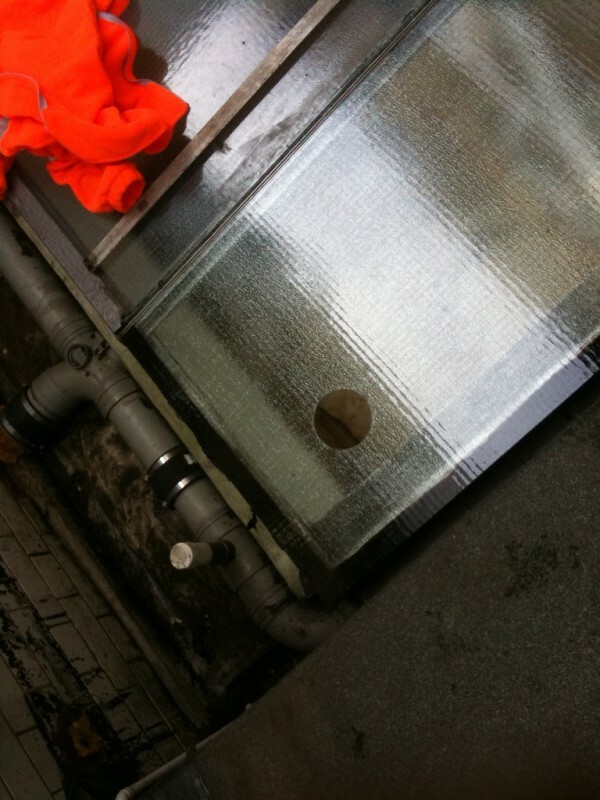 Georgian Wired Polished Plate (6mm clear glass) and Georgian Wired Cast (7mm obscure glass). 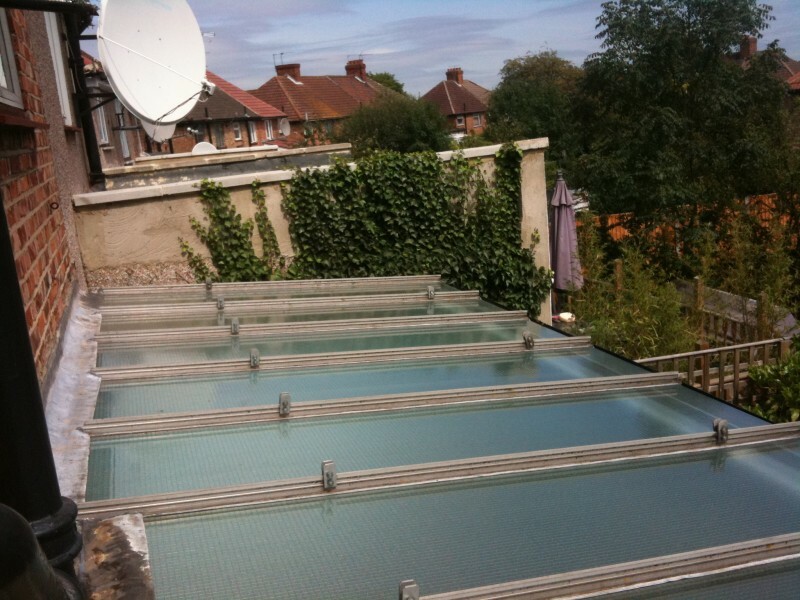 Both types of glass can be cut on site if required. 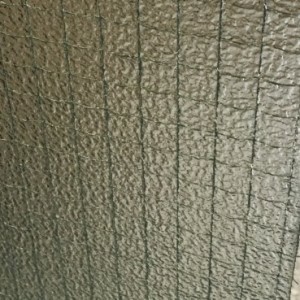 The 6mm Georgian Wired Polished Plate glass is slightly more expensive than the 7mm Georgian Wired Cast glass. 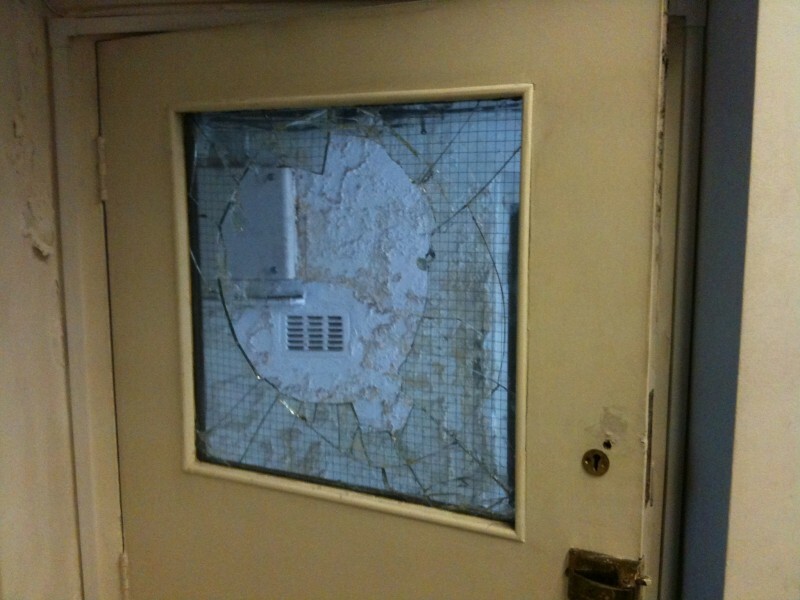 1st Call Glazing stock both types of Georgian wired glass, so when this type of glass gets broken. 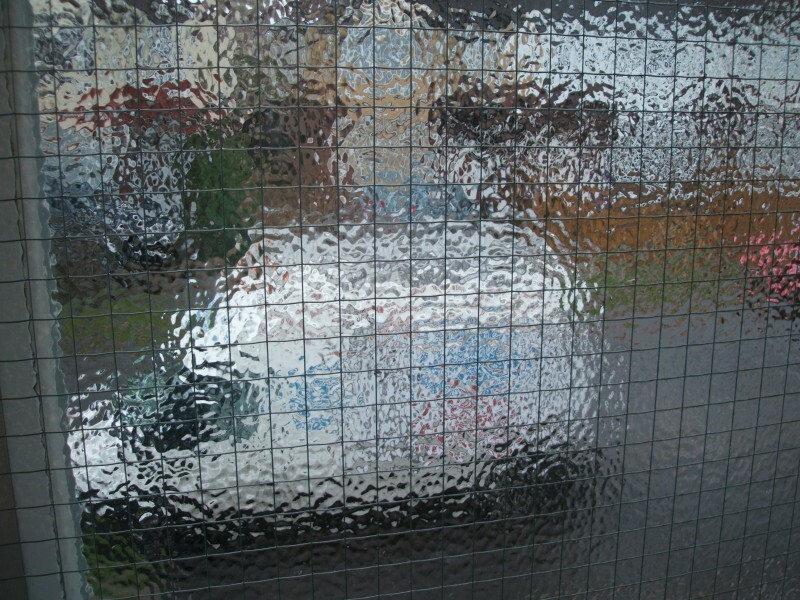 it can often be re-glazed the same day. 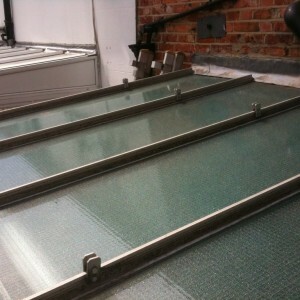 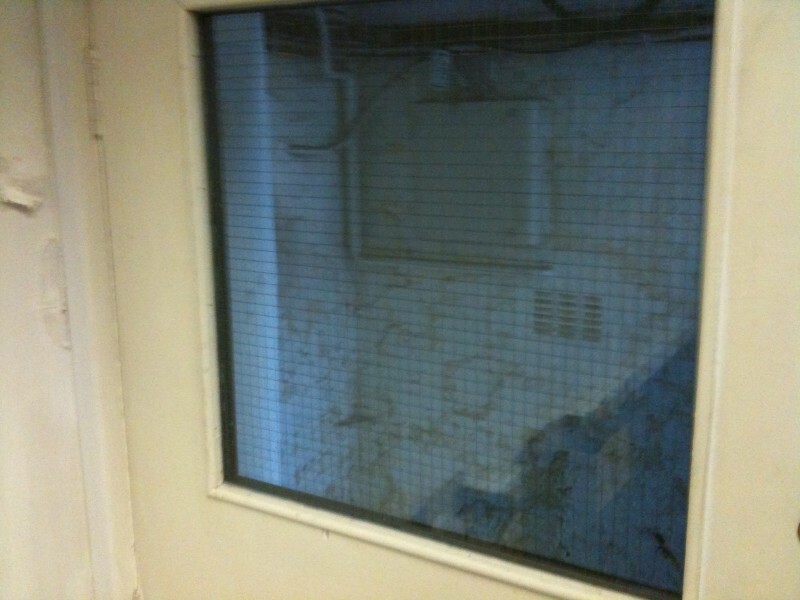 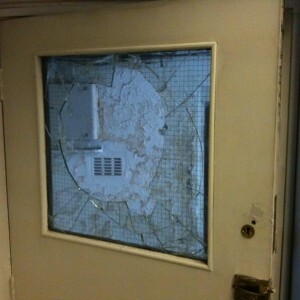 The pictures above shows 6mm Georgian Wired Polished Plate glass that had been broken in a fire escape door. 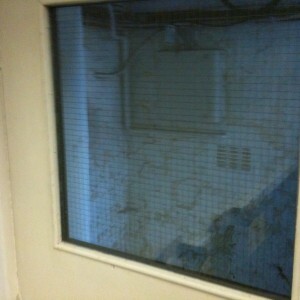 A new pane of clear wired glass was cut on site and fitted. 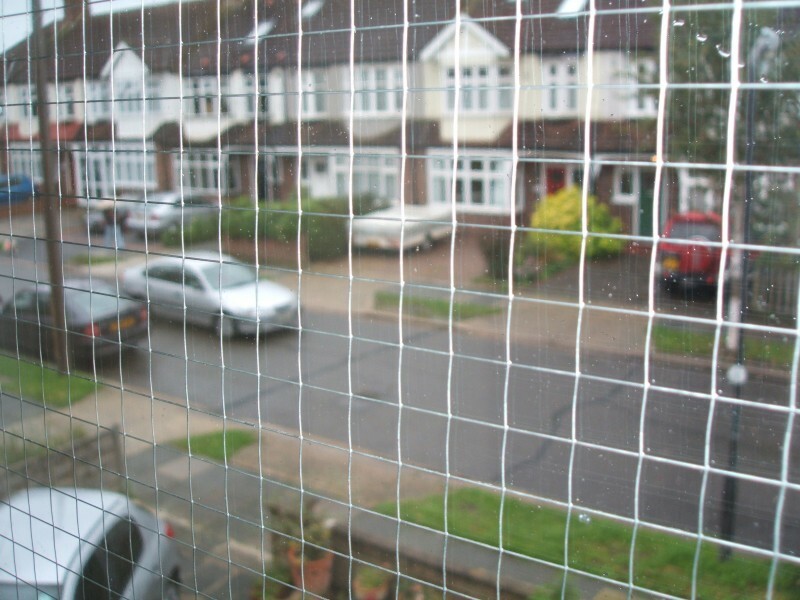 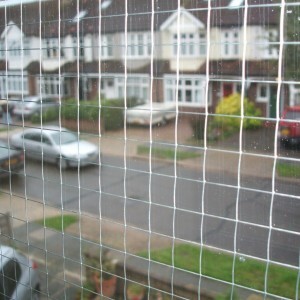 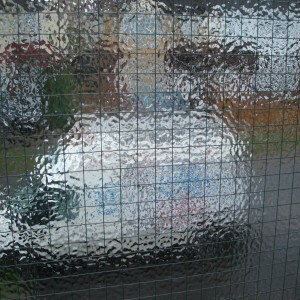 The picture above shows a 7mm Georgian wired cast pane with a hole cut, that 1st Call Glazing fitted. 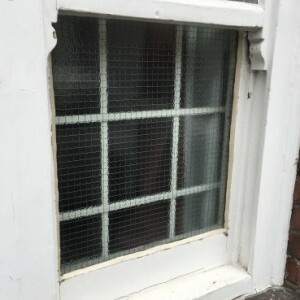 A hole can be cut in both clear and obscure Georgian Wired glass, however a new pane of glass would be required.